Russian President Vladimir Putin on Saturday said Moscow would respond in kind to the US decision to suspend a landmark arms control treaty, and that the country would start working on creating new missiles, including hypersonic ones. Putin's announcement came a day after the US said it was suspending the Intermediate-Range Nuclear Forces (INF) Treaty and would withdraw from the pact in six months if Moscow does not end its alleged violations. 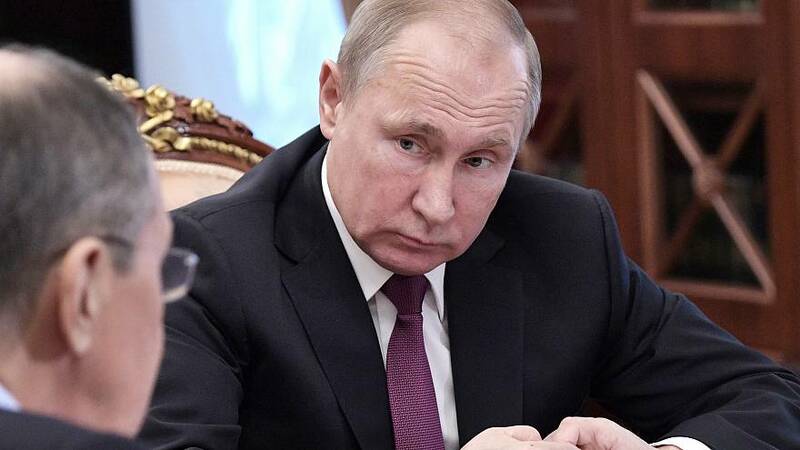 "The American partners have declared that they suspend their participation in the deal, we suspend it as well," Putin told foreign and defence officials in a televised meeting. In a statement on Friday, US President Donald Trump said Moscow had violated the INF treaty by "covertly developing and fielding a prohibited missile system that poses a direct threat to our allies and troops abroad." The deal, signed in 1987 by then-US president Ronald Reagan and Soviet leader Mikhail Gorbachev, bans the production, testing and deployment of land-based cruise and ballistic missiles with a range of 500 to 5,500km. The US says Russia's new 9M729 land-based cruise missile system violates these terms, while Moscow has insisted that the weapon has a maximum range of 480km, making it compliant with the INF treaty. Putin also said that Russia will start working on creating new missiles, including hypersonic ones, and told officials not to initiate disarmament talks with Washington.